ReqIF Studio has powerful features for change management. 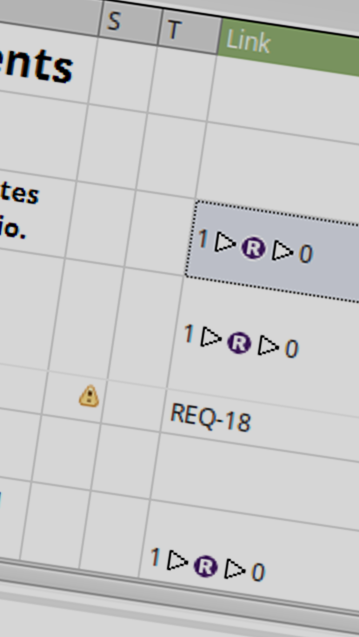 In particular, SpecRelations (traces) can be flagged if source or target of a it change. This template consists of a preconfigured stakeholder requirements spec and a system requirement spec. These can be connected with a traceability that is enabled for change management. You find usage instructions as part of the template. Create a Project (see Handbook). Import the template (which you first have to download) by dragging it into the Project. Alternatively, you can use the import wizard via File | Import ... | File System. Optional: Rename the template, as you see fit. Open the template and follow the instructions inside. Also consult the Handbook chapter on this feature.